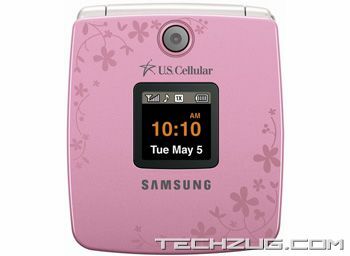 Samsung has released its latest clamshell phone, the Gloss U440 also known as the Samsung Cleo in Canada. 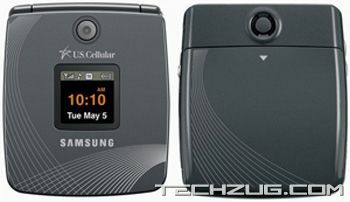 It is now available in the US thtrough U.S Cellular. 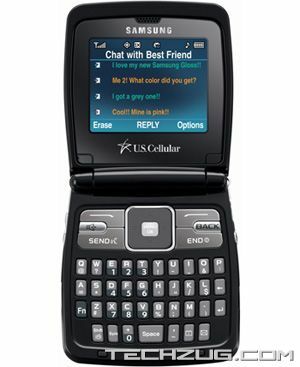 This fashionable handset comes with 2.2-inch TFT internal display, an external display, a 1.3MP camera, a full QWERTY keyboard, a music player, easyedge Service, a microSDHC card slot and Stereo Bluetooth connectivity. Choose from charcoal and pink. No word on pricing. More pictures after the break.